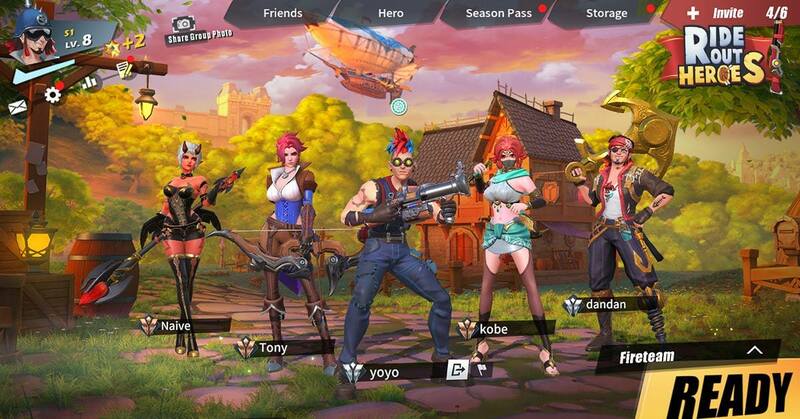 NetEase Games, the Chinese gaming giant behind popular mobile games titles such as Onmyoji and Knives Out, today announced its new mobile battle royale Ride Out Heroes has completed all Closed Beta tests and is scheduled to launch on PC and mobile platforms this May. Starting now, gamers from South East Asia and Latin America can start to pre-register for Ride Out Heroes on Google Play and be rewarded with bonus gifts at launch. Developed by the team behind the wildly successful Rules of Survival, Ride Out Heroes is touted as the “first multi-class battle royale mobile game”. Boasting a 100-player multi-class battle royale experience, 5 heroes will be available at launch and each of them is armed with unique character traits, epic weapons and 5 different abilities. There is the assassin-meta character Hasan who dishes out quick and devastating attacks, and the ranged shooting character Robin Hood who deals damage from afar. Players can have their preferred combination of maximum two unique characters and fight their way to victory! However, players do not have to be on this survival adventure alone, as Ride Out Heroes will have team-based match options as well. Players who have been “knocked down will transform into a baby dragon. If the baby dragon survives any attacks in the following 30 seconds, it will return to the battleground immediately as the character. While in a baby dragon form, players can choose to transform into environmental props like barrel, shrub, box, and light to disguise and hide from attacks. A unique and weird feature no doubt! Another unique feature is the Random Sanctuary System, where a sanctuary randomly spawns on the map where players can “wish” to forge epic weapons, abilities, armors or potion that cannot be obtained by normal gameplay such as looting. Watch out and prepare for the intense sneak attacks by other players or parties while waiting for the epic items to be finished! Rather than a realistic setting, Ride Out Heroes aims to depict a magical wonderland with its wacky and colorful design. Remember to pre-register for the game!